Enable LED Flash for alerts and you will never miss a call or text. We often miss our phone alerts when we are busy doing work. The ringtones and vibration alerts fail to grab our attention, and we may miss an important call or text. LED flash alerts are of great help to grab our attention. Admittedly, many android devices have LED Flash alerts already available in them but these apps makes it easy to toggle and use it. This is my primary choice. This app has been updated with a Material design for Lollipop. It even has unique features which similar apps don’t have. 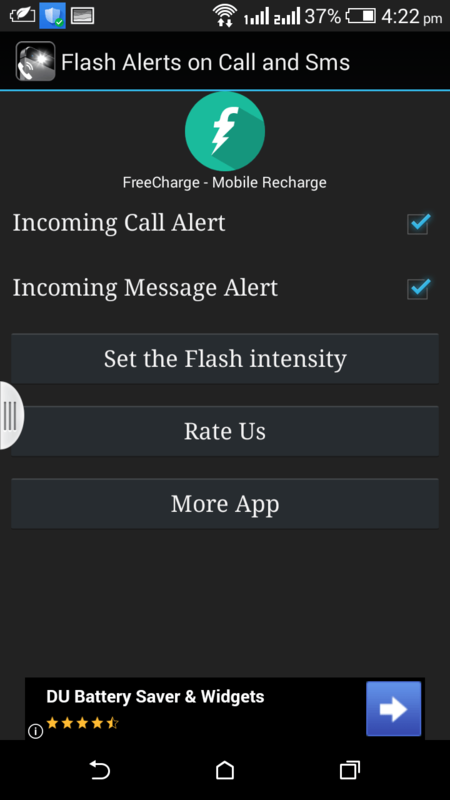 Adjust whether you want LED notification only on Incoming call or Incoming SMS or both. 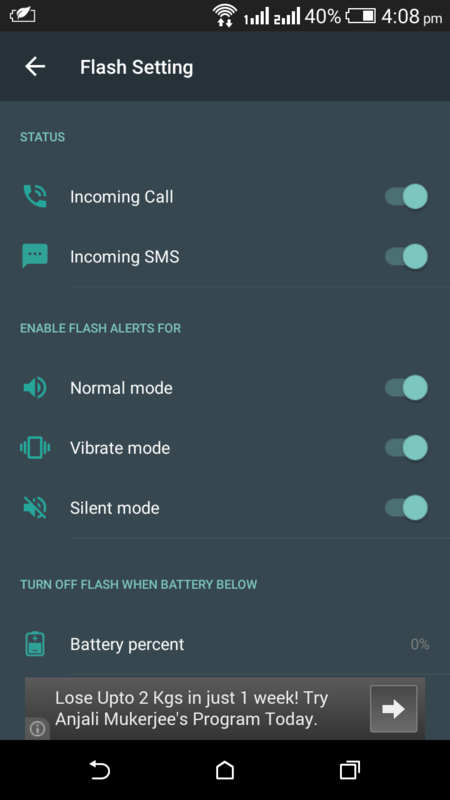 On which mode you want your LED Flash notification to get enabled. 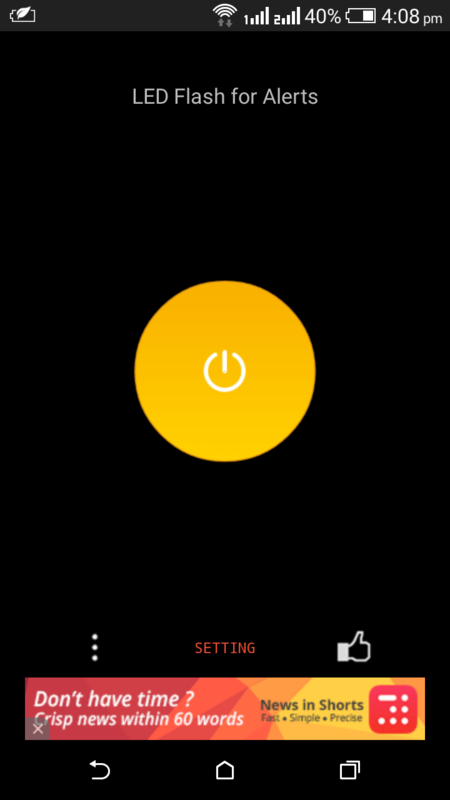 Like if you are in a meeting and your phone is in silent mode, you can disable the silent mode if you don’t want to get disturbed. 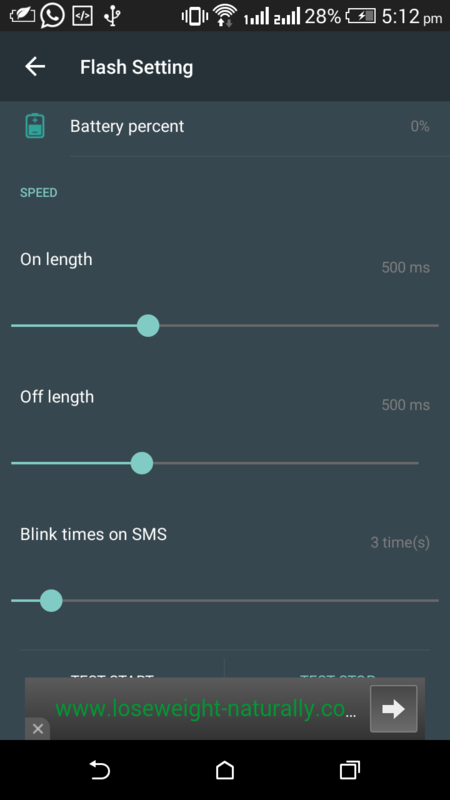 Set a specific battery percentage below which this app stops blinking LED light. Change the LED Light blinking speed. 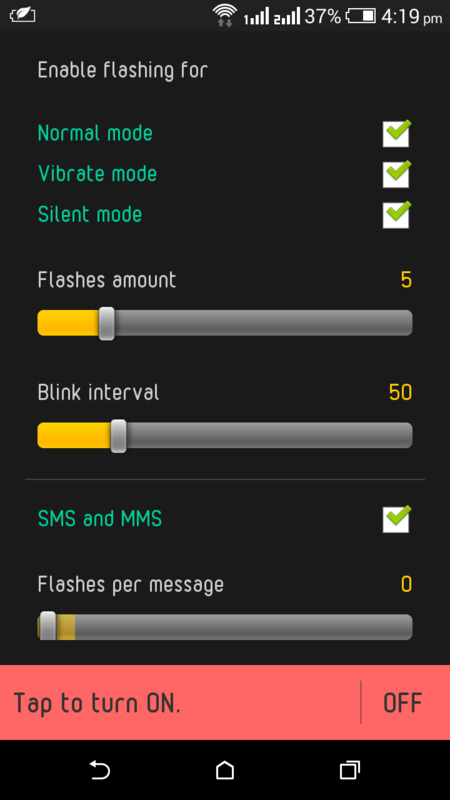 This app is also similar to the earlier one except you can change the number of Flash alerts you want on an Incoming SMS. Even this app has Ads. It is not Ad-free. Though it is a great app and a lot easy to use. This is a very basic app and my backup option. In case the above apps don’t work in some devices like nexus 6, You can try using this app. This app has an outdated look though it works properly on all devices where other apps tend to fail. Also it does not have battery percentage alert. After testing various apps, this is the most stable app one can find. Any queries or comments? Feel free to write it down. And do not forget to subscribe to ReadMeNow for further tech and apps review.